Unlike oak, red cedar will not go black if left untreated. It will weather to an attractive silver grey colour. 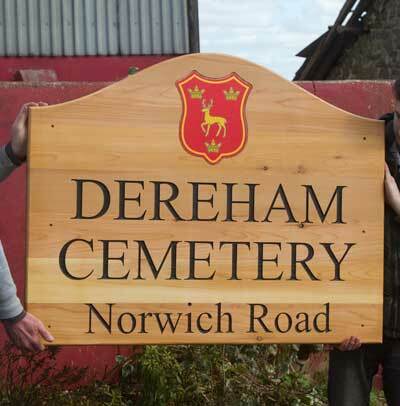 It is a very durable wood, ideal for signs as it is low maintence. It is however a softer wood than oak, but this would only be a problem if likely to be damaged by vandalism. Our Red Cedar is imported from Canada. 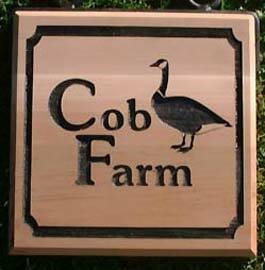 The signs are made from laminated Western Red Cedar with a high quality vertical grain and are 35 - 45mm thick. 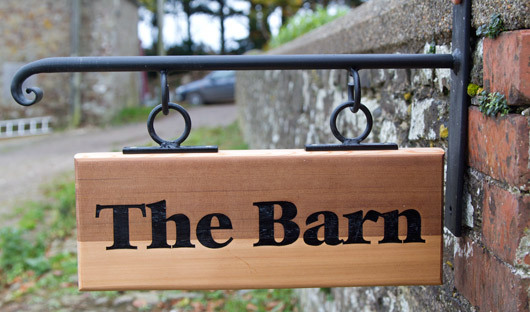 Being a thicker timber they are perfect for hanging signs or double sided signs on posts. 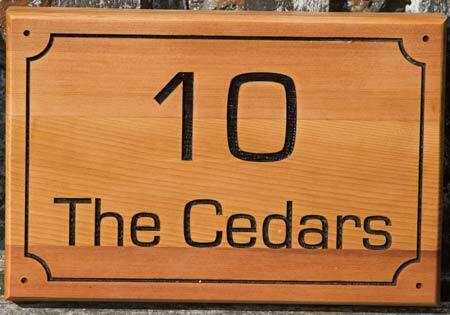 Cedar has a high tannin content producing excellent weathering characteristics. This wood also has a very short grain resulting in minimal checking and warping. Extremely durable for many years of use. It can be oiled for a rich finish or left untreated to weather to a beautiful silver grey colour. The above sizes are the standard sizes and are the best value for money. However should you require a size that is not shown please ask for a quote. 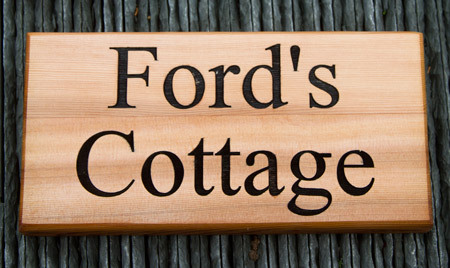 Prices include 6 letters carved out or left raised there-after add £1.10 per letter. (after next 20 letters add 55p per letter). Borders can be added at £5.95, simple pictures and images can also be included from £9.50. For raised letters please choose a bold font without fine lines. Made in the UK. 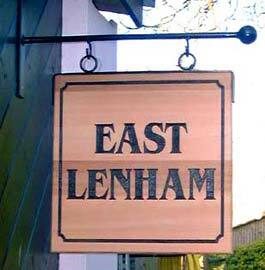 Our team at The Sign Maker looks forward to helping you with your Cedar Wood Sign.